Lovely to look at from the moment you drive up to this home. Beautifully manicured landscaping, fenced back yard, charming fountain near front entry. This immaculate and impeccably decorated home is spacious and open (2100sq feet under air) with 3 bedrooms, 2 baths plus den, living room and large family room open to the kitchen and breakfast area. The owners have upgraded with impact windows and sliding glass doors, freshly painted exterior and new carpet in the bedrooms, whole house reverse osmosis system, solar hot water for extra efficiency (2013), extra insulation in the attic, an solar attic fans, fenced yard, irrigation system, high quality wood laminate floors, newer larger AC, crown molding, can lighting in master bath, built in bookcases, cabinetry in laundry room, garage door opener with motion light and battery backup, utility shed in back yard. The family room and kitchen are the heart of this lovely home, spacious and open, with breakfast bar, plenty of cabinets and counter space under counter lighting, nice sized breakfast area, where you can enjoy the view of the private / fenced in back yard and lanai. The master bedroom suite is spacious and the ensuite bath has 2 large closets, dual sink vanity, jetted tub and separate shower. What more could you want!? 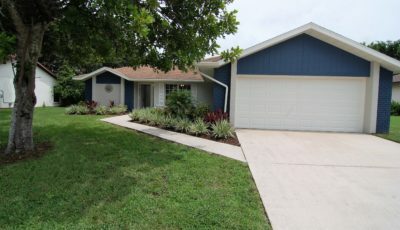 Conveniently located in North Port, minutes to shopping, restaurants, schools and the areas tourist attractions. Call for your appointment today!